The Bachelor: On The Wings of Love? The Captain of Her Heart? When I first heard that the new season of ABC’s The Bachelor was going to feature an airline pilot, I thought it was a joke. Knowing what I know as the wife of a pilot, I was baffled that any woman would willingly thrust herself into the pilot wifestyle. Then I realized that most of these women probably DON’T know the reality of being a pilot wife. “31-year-old Jake Pavelka is out to prove to the world that nice guys don’t finish last. No, they finish in love. 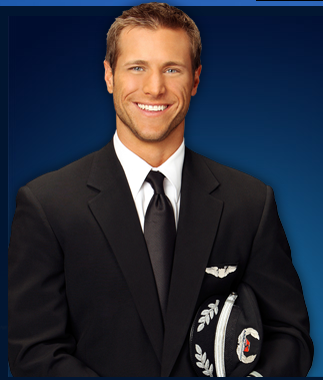 Fasten your seatbelts and leave your relationship baggage at the door as this handsome commercial pilot from Dallas prepares to take flight as The Bachelor. “Jake knows himself well enough to know that he’s not made to live alone. He just needs to find the right woman — his best friend and soul mate – and that’s whom he’ll marry. Searching for a woman who is intelligent, confident, energetic and spontaneous, he admits that he can’t wait for fatherhood. Embry-Riddle Aeronautical University is the world’s oldest, largest, and most prestigious university specializing in aviation and aerospace. It is the only accredited, aviation-oriented university in the world. * Flight Instruction: Embry-Riddle’s flight program is designed to allow students to earn their ratings in just three years (unlike many other schools). Flight students can estimate average annual costs for the first and second year at approximately $15,000 per year. The average cost for the third year of instruction is $10,000. From what you see, Embry-Riddle’s program appears to cost a little over $53k. But when you read the fine print, it says that flight instruction is $15k for years one and two, and $10k for year three. Add that together….you’re looking at $78,300 to attend the “Ivy League” flight program. To achieve comparable training at a state university (such as UND or UVU), your undergrad studies would be slashed by 2/3rds (plus flight costs). One thing ABC did get spot on, is the typical pilot obsession for fitness and staying in shape. Pilots must be evaluated by a medical examiner frequently, and many common ailments can disqualify you from flight. My pilot is very concerned with his health and appearance, which can be difficult to keep up with rigorous schedules and limited availability to fitness centers during trips. Trust: No matter what career your man is in, there WILL be temptation. The persona of an airline pilot is suave, debonair, and powerful, which will attract both flight crews, passengers, and airport employees. Cheating happens in aviation, just as it does in medicine, finance, education, etc; but it is enabled by the provided access to hotel rooms in random cities. This isn’t to say that your pilot will cheat, but you need to keep your relationship strong, and the communication often and honest. If my husband and I don’t talk at least 3 times a day, we really start missing each other. When he’s home, smother him with affection to help him remember why he’s working so hard to support you. Debt Management: Few pilots are as fortunate as Jake to have a “storybook childhood,” with a family able to finance flight training. My husband is a 3rd year first officer at a regional airline, with his take-home pay BARELY able to touch his monthly student loan payments. Most of the pilots I know have well over $100,000 in debt to cover plane rentals, instruction, insurance, exams, and travel expenses. Gone are the idyllic days of extremely wealthy pilots, especially as they start our their careers (except the high-seniority captains, like Sully, who have taken significant paycuts as well). You will probably have to bring in supplemental income to cover the inevitable living expenses beyond his paycheck. Many pilots have to take on second jobs on their off days. Learn how to budget and live within your means. A good support network: There are many cities that you pilot may be based: MEM, JFK, DTW, LAX, CVG, MSP, DFW, ATL, etc. Sometimes you will have no control over where you’ll be assigned, and it can be VERY lonely to be in a new city with no friends and family (just look at my posts from Detroit and Atlanta….lonely times) Or your pilot may commute, as mine does, and that is even more time that you are without your significant other. Make it a priority to establish a great LOCAL network of friends, family, neighbors, and church members . 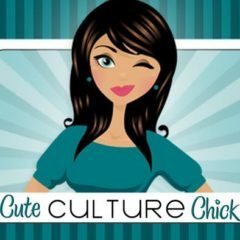 Join some of the established websites such as Pilot Wives Club or Wives and Girlfriends of Pilots Facebook page. Now that I’ve said my two bits, I’m going to sit back and enjoy the romantic reality drama!